It was predicted that this year’s Eureka Poker Tour Bulgaria Main Event would bring over 400 participants and it turned out to be true, with 407 players taking to the felt. It came as 222 players turned out to play on the second and last starting flight of the Main Event, which was slightly more than the 185 who turned out on Day 1A. The total number of participants is a new record for the event, currently in its third season. With a total field of 308 players, last season’s Main Event was the previous record. A total of 182 players from both starting flights survived to make it to Day 2, with the chip ladder being Ukranian poker pro Denys Chufarin. Chufarin finished Day 1B with a stack of 152,800 to his name, putting him well ahead of the rest of the pack. Another Ukranian, Ievgen Lozinskyi, will come into the second play of day with 133,400 chips, which is currently the second highest chip stack of all the remaining players. Not far behind him is Israeli Liran Machluf who has a stack of 130,000 to his name. With 120,100 chips, Day 1A chip leader George Vranas will start Day 2 fifth on the chip counts, slightly behind hometown player Ivo Donev, who has a stack of 121,000 chips. Another player who also made it to Day 2 is fellow Bulgarian Simeon Naydenov, who is better known for having won the $1,500 No Limit Shootout event (#36) at this year’s World Series Of Poker. Naydenov finished Day 1B with a stack of 68,300, which is still a solid stack this early in the tournament. The top 48 players at this season’s Eureka Poker Tour Bulgaria Main Event will be in the money, with the minimum pay out being €2,020 (around US$2,680). 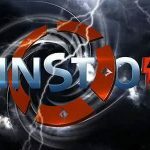 A generous €9,200 (around US$12,220) will go to the first player eliminated from the final table (eighth place), with the rest of the final table set to earn five figure sums. 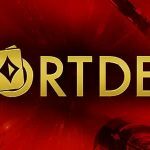 The event’s runner up will receive €62,500 (around US$83,015) while the player who takes out the tournament stands to win €93,000 (around $US123,525). Things will likely get even competitive from here as the remaining players battled it out for the record prize money in this event to date. 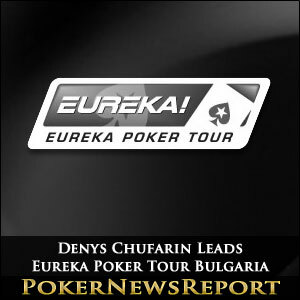 Day 2 of the Eureka Poker Tour Bulgaria is set to get underway later today at the Golden Sands Resort.